·Unique formulation with combination of ceramides, lactic acid and niacinamide. 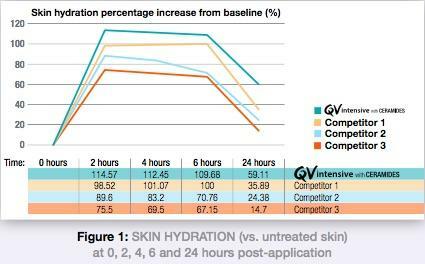 ·QV Intensive with Ceramides unique dual action helps to restore epidermal barrier function. ·Free of preservatives, soap, fragrance and allergens which ensures suitability for patients with eczematous skin. ·Part of Ego Pharm’s integrated range to help prevent and manage mild-to-moderate eczema. ·Proud Gold Supporter of Eczema Association of Australasia. In order for topical ceramide products to be effective, a correct relative molar ratio of ceramides, cholesterol and fatty acids must be formulated into the right delivery system. Hence, knowledge of skin is as important as knowledge of formulation science. 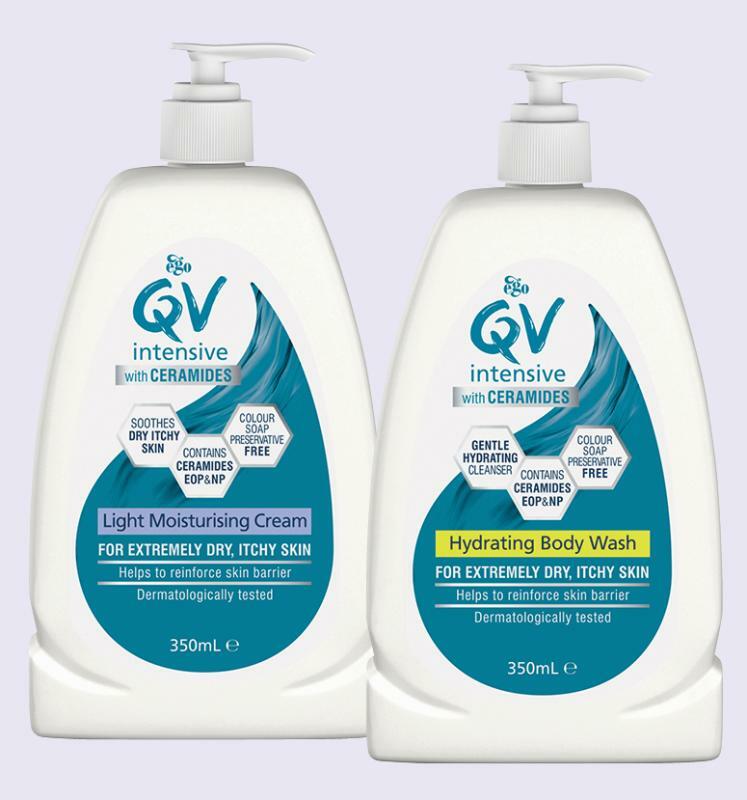 New QV Intensive with Ceramides products have unique formulations which have been designed to ensure delivery of ceramide, cholesterol and fatty acids in an optimal ratio. References: 1. Rawlings AV, Maibach HI. Advances in Dry Skin Stratum Corneum Biology and Moisturization. In: Maibach HI, ed. 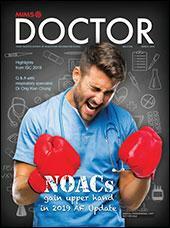 A Dermatological View: from Physiology to Therapy. Illinois: Allured books; 2011: 367–380. 2. Rawlings AV, et al. Effect of lactic acid isomers on keratinocyte ceramide synthesis, stratum corneum lipid levels and stratum corneum barrier function. Arch Dermatol Res. 1996;288:383–390. 3. Tanno O, et al. Nicotinamide increases biosynthesis of ceramides as well as other stratum corneum lipids to improve the epidermal permeability barrier. Br J Dermatol. 2000;143:524–531. 4. Data on file; Spada, F, Greive KA and Barnes TM, 2018. In preparation. 5. Chamlin SL, et al. 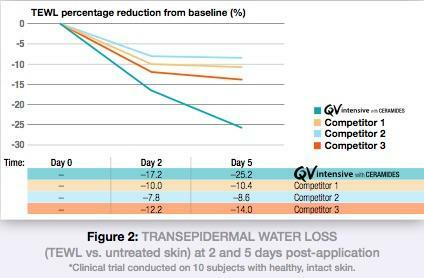 Ceramide-dominant barrier repair lipids alleviate childhood atopic dermatitis: Changes in barrier function provide a sensitive indicator of disease activity. J Am Acad Dermatol 2002:47(2);198–208.